Position A. We are looking for several persons with experience in Healthcare / Medical projects with 5 years minimum experience. Must be a registered licensed Architect in California and have exp. in OSHPD 1 & 3. Client Relations, Project Management , Superior Customer Service, Marketing and must be ambitious about your career and motivated to work! Position B. 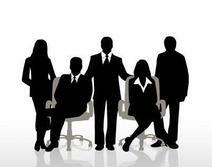 ​ Also seeking a highly motivated candidate for the position of Job Captain. Using Revit, The candidate we select would have the responsibility of working with and possibly taking over as lead Job Captain. Must have the ability to take a project from start to finish and demonstrate previous experience putting together a good set of construction documents.